Disclosure: Products details and descriptions provided by vendor and/or based on publicly available information, and should not be taken to mean that we have purchased, used or tested the product in question. Our company may receive a payment if you purchase products after following a link from this website. 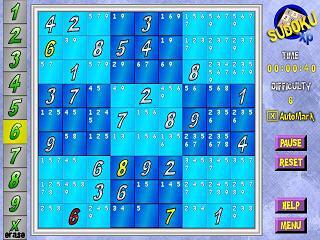 Sudoku XP is a superlative version of the logic puzzle game that is taking the world by storm. A beautiful rendition of SuDoku style puzzle for your Palm OS device. 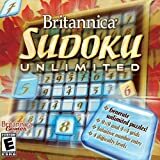 The ultimate Sudoku program, this does it all. 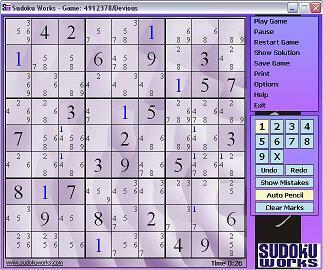 Play 1,000 Sudoku puzzles on your desktop - 4 difficulty levels. Puzzle Fanatics! Get ready for your next mission Sudoku! Fully equipped with 3,000 puzzle grids and printable puzzles, its the itch that'll leave your brain scratching for more! There is also a built in Puzzle Solver, so you can any puzzlemanually and let the application solve it for you. Additional Requirements: Download the Zip file. Millions of people buy newspapers for the daily Sudoku puzzle, a new addictive ritual, as necessary a routine as that morning jolt of coffee! 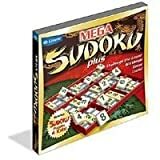 This program is chocked full of more than 400 Sudoku puzzles-- more than a year's worth of Sudoku puzzles-- which will challenge diehard Sudoku puzzle addicts or, if you're just being introduced to this wildly popular pastime, provide you with enough variety and tricky twists to make this national craze your personal obsession. a1APPS has 9 skill levels making our game suitable for novices and experts alike. Each board is generated by the app when a new game starts so there are virtually limitless puzzles to solve. Our approach to this popular numbers puzzle lets you position one or more numbers in each open square, then use a process of elimination approach to solve the board. Play as a novice or expert by selecting the appropriate skill level and starting a new game. Game is played in a standard window that can be resized, full screen mode is supported for any screen size and aspect ratio. SudokuTeacher is a solving program for intermediate-level players. 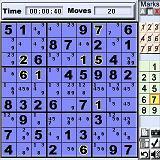 The program allows you to solve Sudoku puzzles in several different ways. You can play with or without “candidate” entries in the cells, although “with” allows you to solve much harder puzzles. The initial setup gives you several options. Examples include entering all candidates at the beginning, alerting you to an error if you have made one, and auto-removing of candidates when entering a cell solution. In addition you can manually create or import (and save) puzzles. It also provides optional hints for each of the standard patterns, such as pairs, triples, quads, pointing pairs, etc. 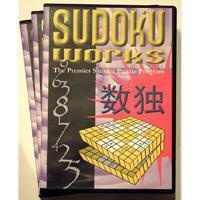 If your desire is to become a better Sudoku solver, and have fun doing it, then SudokuTeacher is the program for you! Packed With Word & Number Fun! Brand New factory sealed Hoyle Crosswords & Sudoku, Packed with Word & Number Fun. This brain teasing collection will challenge your skills with over 46.000 puzzles and unlimited crosswords.